This is a pity, because it’s the sort of book that should be more widely available to more than the university libraries that can still afford it. But my qualifications for evaluating such a comprehensive history are limited, apart from having once been a short-term employee. So I hope I can be forgiven for focusing here on just a few selected portions where I feel I’m more that casually acquainted with the subject matter, with the hopes that others can chime in with comments on the other parts on other occasions. (And, just for the record and the sake of full disclosure, I’m mentioned in the Acknowledgements and appear in a photograph of a picket line during a 1974 BFI strike, taken during my first month on the job.) 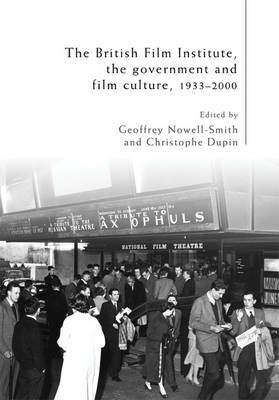 The portions I have in mind, apart from the book’s Foreword (by Sir Denis Forman) and Introduction (by Nowell-Smith and Dupin) are Chapters 9 (‘The 1970s,’ 152-178), 10 (‘The Smith Years,’ 179-196), and 13 (‘The Sight and Sound Story, 1932-1992,’ 237-251), all three by Nowell-Smith. As Nowell-Smith points out in “The 1970s,” a threat by the BFI governors in the early 1970s to decimate the funding for Screen, the magazine produced by the Society for Education in Film and Television (SEFT) since the mid-1960s, led to the resignation of half a dozen staff members of the BFI’s Education Department, headed by Paddy Whannel, sparking an internal debate within the BFI that was still raging when I went to work there. The big issue was whether or not the BFI was “to play a central role in creating a film culture”. According to Ernest Lindgren, who had recently taken over as BFI director from Stanley Reed, “The proper role of a public organization in a democratic state is to provide the information and the facilities to enable people to make up their own minds about the nature of film and its purpose in society.” Ergo, “It is not the job of the institute […] to develop and promulgate one particular film culture.” But, generally speaking, and despite some internal differences, it was basically “one particular film culture” that marked Screen, Screen Education, and the special programs and books associated with the Edinburgh Film Festival, as well as a teaching methodology that sometimes emphasized extracts over entire films (so that at least one SEFT teacher, to my shock and amazement, could teach one or two musical numbers from Gentlemen Prefer Blondes (USA 1953) without having bothered to see the entire feature, which she considered unnecessary). This only extended a fundamental difference between the Editorial Department (which produced Sight and Sound and Monthly Film Bulletin) and the Education Department that had already existed since the mid-60s. When the two departments had equal and joint roles in commissioning books in the Cinema One series, there was a clear ideological and methodological split between the latter’s more pedagogical Luchino Visconti (by Nowell-Smith), Howard Hawks (by Robin Wood), and Signs and Meaning in the Cinema (by Peter Wollen, the Education Department’s commissioning editor) and the former’s more journalistic Godard (by Richard Roud) Losey on Losey (edited by Tom Milne), and The Western (by Philip French). One key difference, not mentioned by Nowell-Smith, is that Editorial volumes, edited by Houston and Milne, tended to favour a chronological handling of director’s careers, while the Education volumes, in order to promote other forms of critical organization, disallowed any such chronological arrangement. The sharp differences between Editorial and Education were still fully in force during my stint at the BFI in the mid-70s, and the fact that I was the only member of Editorial who befriended several writers for Screen – polling a few (Claire Johnston, Colin MacCabe, Laura Mulvey, and Paul Willemen) about their favourite films and texts as part of a survey for Film Comment, attending one or two of Screen’s monthly meetings open to the public (and persuading Ben Brewster, the editor at the time, to review Ozu’s Early Spring (Japan 1956) for the Monthly Film Bulletin), and briefly plugging Stephen Heath’s massive two-part analysis of Touch of Evil (USA 1958) for Screen in a brief feature about that film for Sight and Sound’s “In the Picture” section – led to some tensions, especially after I tried unsuccessfully and somewhat naïvely to negotiate between them, in a long Sight and Sound piece (“Regrouping: Reflections on the Edinburgh Festival 1976,” available on my web site) that contrived to criticize both factions. One testimony to the long-lasting and still-pertinent after-effects of this schism are the bibliographies in all three editions of Pam Cook’s ambitious and influential The Cinema Book (1985) – cited by Nowell-Smith in Chapter 10 as one of the BFI’s “two major departmental publications” from this period, and a book still in print today. If I’m not mistaken, these systematically omit everything and anything ever published in Sight and Sound during Penelope Houston’s lengthy reign (1956-1990). This means that, for instance, readers interested in researching Citizen Kane (USA 1941) are directed to Pauline Kael’s now-discredited “Raising Kane” rather than to the refutations of its arguments and facts by Bernard Herrmann (among others) that appeared soon afterwards in Sight and Sound. Although I’m sure my own biases on this schism are by now evident, despite my conflicted intellectual allegiances, I think it’s a schism that any students perusing The Cinema Book should know about, although I wouldn’t be surprised to learn that many of them don’t and won’t.